While Sony launched the new Xperia Z4 Tablet during Mobile World Congress last month, they didn't release a new Xperia Z smartphone, something that many of us were expecting. It was beginning to look like Sony was looking to release the Xperia Z4 during another event to make sure it wasn't lost in all the other exciting news from Barcelona. 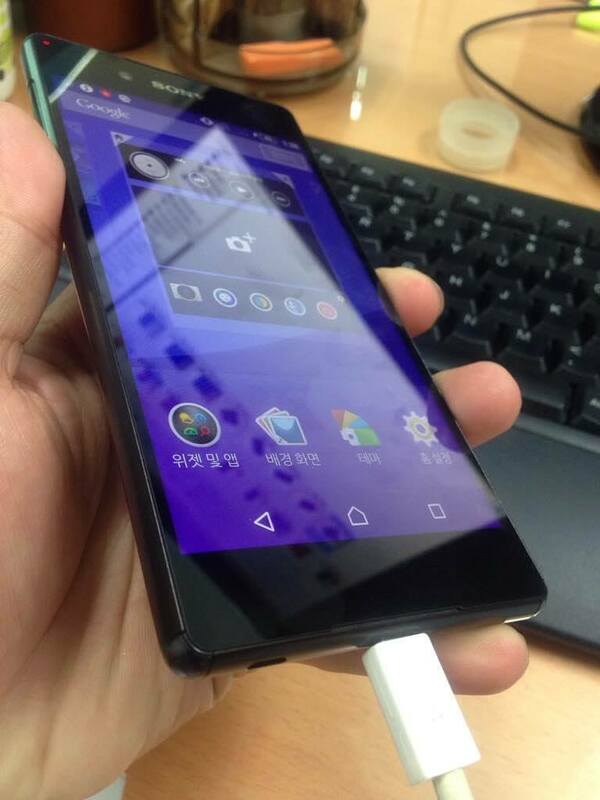 Since then, we've seen more and more leaks appear over the last few weeks and now, we have a look at what may or may not be the Xperia Z4 in the flesh, along with some more information on what could be on the inside of this latest Xperia Z flagship. The images, obtained by French website Nowhere Else, show a device that looks remarkably like the Xperia Z3, and a device that also looks - to our eyes at least - a little larger than a device with an alleged 5.2-inch display. Speaking of displays, the Xperia Z4 is said to come in both a 1080p model and a Quad HD model, the model pictured here is allegedly the D6553 which does seem similar to other Xperia Z model numbers, but this model has a codename of 'Ivy', apparently. In the pictures, we also see a microUSB cable attached to the bottom of the device without a flap hanging beside it. According to the leaks, the device is still IP68 dust and water resistant, but Sony have managed to do this without the need of a flap covering up the microUSB port. Details of what's on the inside come in the form of an octa-core Snapdragon 810, a rumored 4GB of RAM and a 20.7-megapixel rear-facing camera and a 5.0-megapixel front-facing camera along with stereo speakers, too. By all accounts, it would seem like the Xperia Z4 is nothing more than a small update over the Xperia Z3, which was ironically a minor update over the Xperia Z2. We would have thought that Sony would be developing a new design language after a couple of years, and five smartphones under the Xperia Z name however, there's no telling whether or not these photos are real. You can take a look at more in the gallery below and as always, take this with a grain of salt.